Can we ever be wholly free? In this book of breathtaking imaginary leaps that conjure dystopias and magical islands, Margaret Atwood holds a mirror up to our own world. The reflection we are faced with, of men and women in prisons literal and metaphorical, is frightening, but it is also a call to arms to speak and to act to preserve our freedom while we still can. And in that, there is hope. Can we ever be wholly free? In this book of breathtaking imaginary leaps that conjure dystopias and magical islands, Margaret Atwood holds a mirror up to our own world. The reflection we are faced with, of men and women in prisons literal and metaphorical, is frightening, but it is also a call to arms to speak and to act to preserve our freedom while we still can. And in that, there is hope. 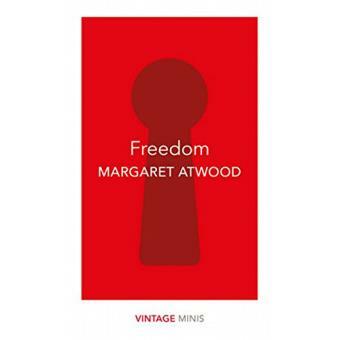 Selected from The Handmaid’s Tale and Hag-Seed by Margaret Atwood.